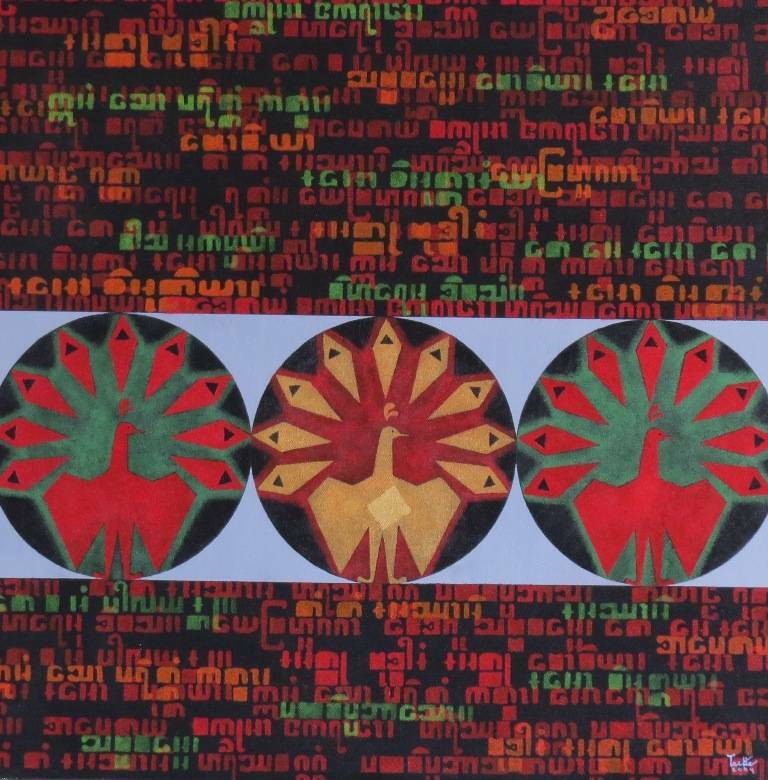 “Myanmar New Wave” showcases a selection of artworks by Street artists Thu Myat and Wunna Aung . 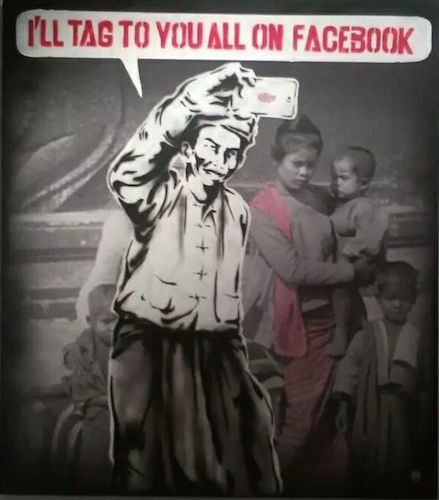 With a great sense of humor they use traditional imagery transmuted in pop-art and comics art to question the current changes of Burmese society. Helene Le Chatelier, Madame, Pang, Marc Nair, Tania Nasr. Potpourri refers to a scented mixture of spices and dried flowers that is usually kept in a decorative bowl or jar and used to perfume a room. Artist books, Mixed media, installations, ceramics, sculptures have in common to encapsulate the scents of Singapore. Although individually disconnected , altogether these artworks create a mosaic which reflects the diversity of Singapore. In ​“Beyond the Surface”, Hélène Le Chatelier interrogates the secret and unconscious parts of ourselves, trying to reveal what is hidden from others and sometimes even from us. Through Chinese ink paintings, sculptures, video and installations, the artist portrays our inner geography and the landscapes we walk along, when we sink within our inner world. ​Shaped by the passage of time, these “Internal Landscapes“ reveal our emotions and feelings, strengths and fragilities, bright and dark sides. She questions the place of silence and introspection as well as the role of physical contacts. In a world submerged by a constant flow of images, sounds and digital data, boundaries between skin and screen become blurry. Playing with reflections, the artist strives to engage with the viewers and to encourage them to reconsider their own inwardness. 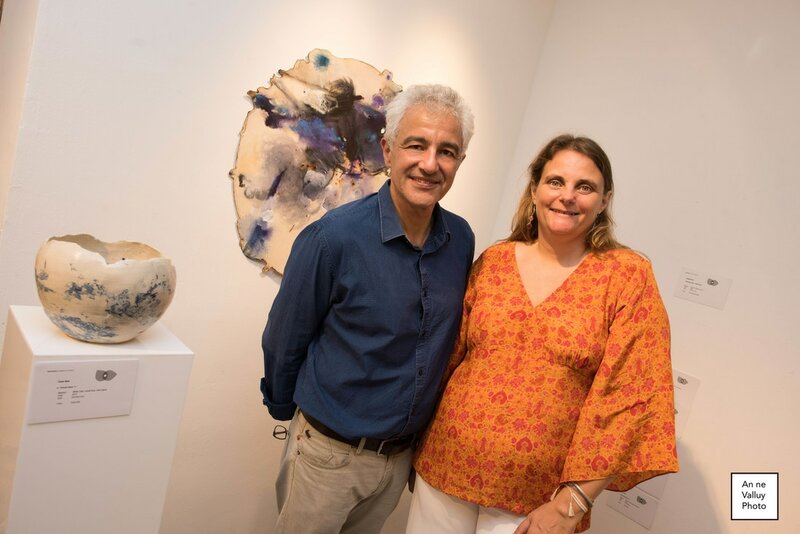 ​The two artists, Tania Nasr, a ceramist, and Hanibal Srouji, a painter have left Lebanon because of the civil war which embrased their country from 1975 to 1990. Both Hanibal’s paintings and Tania’s ceramic works are autobiographical works linked to the history of Lebanon. This exhibition brings the two artists together around the themes of fire and landscapes. ​It discloses their intimate stories through their singular creations. Their artworks speak of those landscapes that they were forced to leave, of those they have discovered and those that are being built. Their particular use of fire, as an element of creation, reflects the artists’ positive extents. 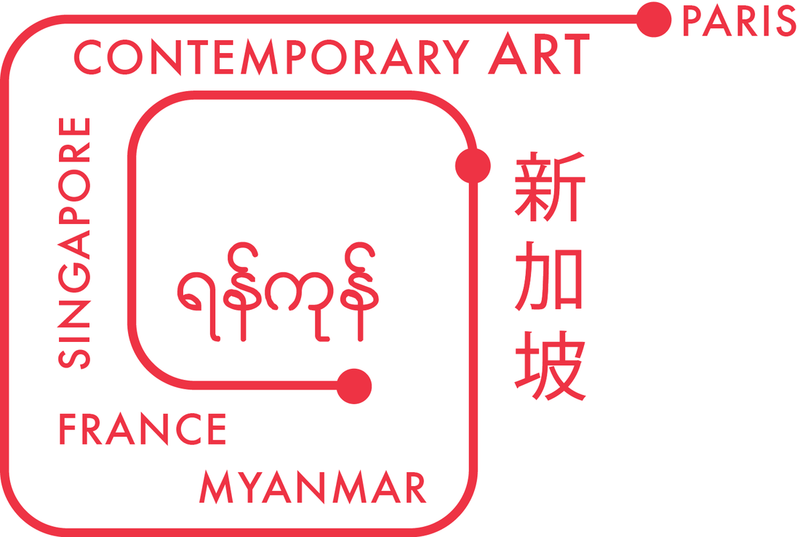 Intersection is an artistic map exploring geographies, names, stories and memories in three cities, Singapore, London and Yangon. This exhibition encompasses layered ink drawings on calligraphy paper and installations. Intersection is also the title of an artist book reflecting this exhibition. Part of this show, an installation titled "Observatory" will be showcased at Singapore Contemporary from 19 to 22 January 2017. Observatory will be relocated to Intersections gallery for the second part of the show from 22 February to 5 March 2017. To celebrate the festive season, this exhibition showcases colourful paintings of nat spirits by Nyein Chan Su and lively street views of Yangon under the monsoon rain by Soe Soe and Khin Zaw Latt. 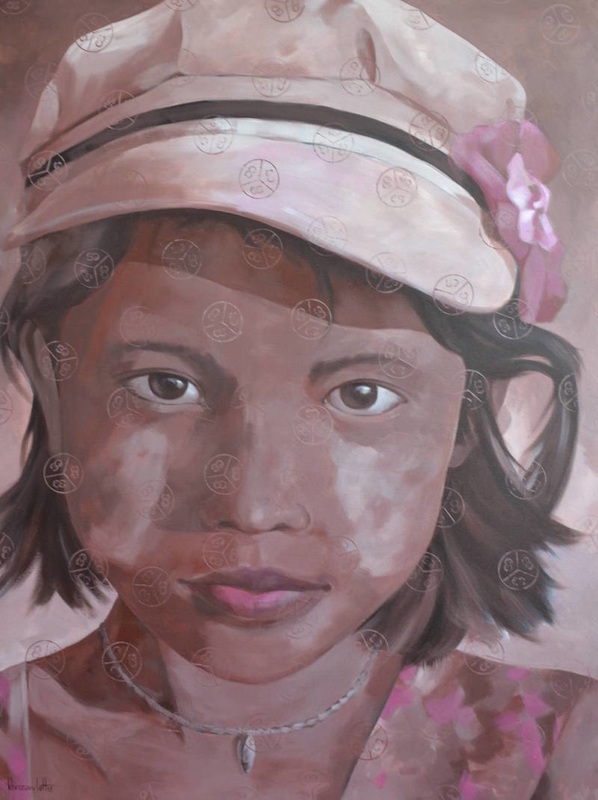 On a different note, a series of old family portraits and a recent photo of "the Lady" become resonant artworks under the creative brush strokes of Nyein Chan Suu, while Khin Zaw Latt' series titled "the Kids and their Dreams" remind us that all children should have access to education to be able to make their dreams come true. 25th anniversary of Krousar Thmey, a Cambodia based NGO. A celebratory exhibition showcasing paintings from the series In the Shadow of Deities by Thomas Pierre. This exhibition also features ​a selection of original illustrations and photos from The Cambodia of Mr. Rathanak by Justin Creedy Smith, Elsie Herberstein and Damien Chavanat (Les Trois Moustiquaires). The works of these four artists all share a common focus on the ephemeral nature of life and strive to record the passage of time through the observation of everyday mundane objects. ​Beyond the beauty of their images, the artists strive to remind us that death is the end of all human journeys. The aesthetics of the discarded obliquely epitomize the essence of humanity. 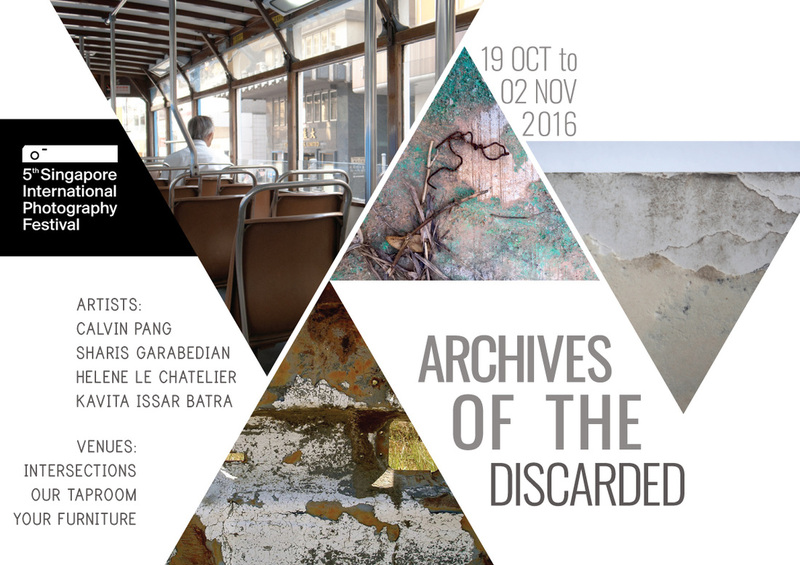 A workshop and a happening by Syv Bruzeau will be part of this exhibition. In conjunction with 5th Singapore International Photo Festival. ​Time is money is a well known saying, which means that we should not waste time because we could be using it to earn money. For this show the artist, took this proverb as a departure point to question the value of time and the value of art and recorded as precisely as possible the time spent to create each of the drawings of the series presented. Can we measure the value of our time by its opportunity cost like the neo-classical economy teaches us? Does it mean that the time spent for learning or for dreaming, for volunteering or for healing, for leisure and pleasure is a waste of time? Can we measure the value of an art piece by the time spent by an artist to create it? How do we measure the time involved in the creation process? Philosophers and scientis have stuggled to define time, while many artists have challenged themselves by striving to represent time. In this exhibition MADAME offers her own answer which is both conceptual and aesthetic. This exhibition encompasses photographs, monotypes and one oversized mixed media painting on canvas, which is an imprint of the Singapore sidewalk. Following the success of Kavita’s debut solo show of painting, “Of Time, the Elements and their Essence”, “Queen of Sheba” focuses on her creative process. This process starts during morning walks by spotting, observing and collecting natural and urban elements. Sometimes, Kavita is so mesmerized by what she observes that she takes a photo on the spot. Most of the time, the Montage is composed by combining textures, forms and colours. 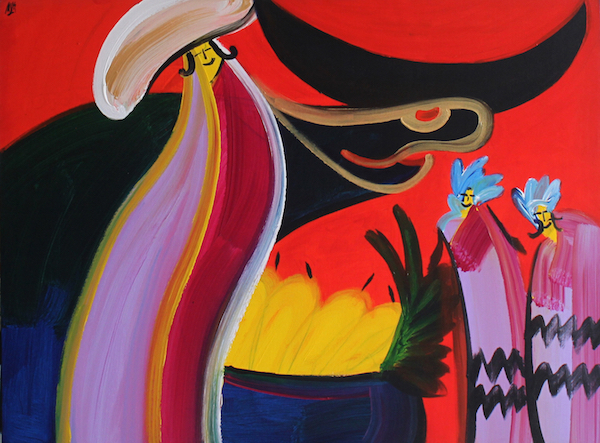 “Queen of Sheba” refers to the artist’s childhood memory. Kavita enjoyed playing this game, which consisted of collecting pebbles, flowers, leaves and other botanical treasures, during long walks with her mother. Since 2012 she has been reviving this game every morning in her urban neighborhood of Singapore, collecting and composing Montages, which she shares with a growing number of followers on facebook. Co-curated by Intersections and by Daryl Goh, Autographic Matters encompasses artworks by two French artists, Hélène Le Chatelier and Syv Bruzeau and two Singaporean artists, June Lee Yu Juan and Pang. The four artists take the interpretation of an autobiography as a departure point to create a series of self and duo reflections. 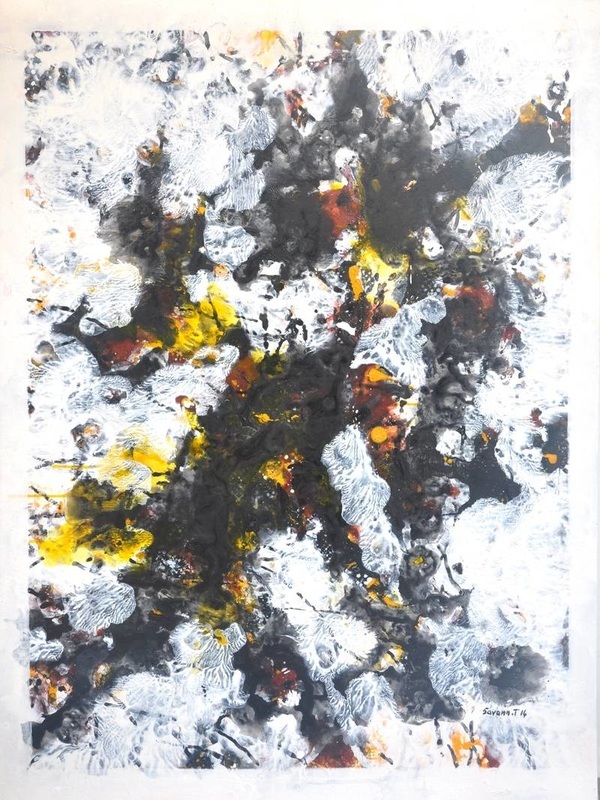 Connected either by a common medium, Chinese ink, or by a same focus on impermanence and memory, the artworks correspond and intersect like evolving branches and leaves that symbolize the materialization of ideas, fruition and becoming. “Autographic Matters”, is an exploration, which leads us through the “Three Perfections”, painting, poetry and calligraphy and intersections between western and eastern traditions. The exhibition includes ink wash art, a collective installation, a poetry book and Butoh dance performances. The performances will take place on 9 & 14 June at 7pm. It is part of Voilah! 2016, the French Festival in Singapore. Born to an Armenian family, Sharis Garabedian grew up and was educated in many different geographical areas in Middle East, Europe and Unites States of America. Hence, she absorbed multiple influences that play a major role in her art. Sharis is a multi talented artist, who successfully expresses herself through various media, from photography to ink on paper. 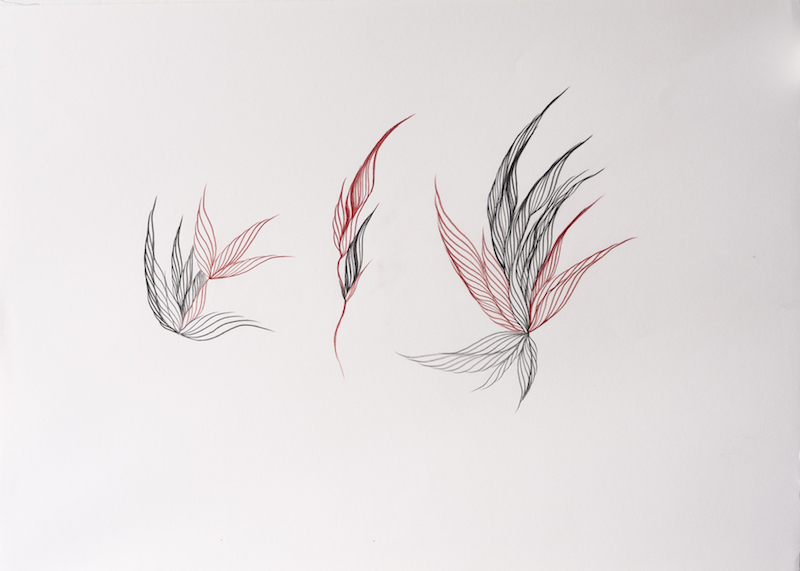 The exhibition Meditative Imprint focuses on her drawings. The artist repetitively uses geometrical and angular shapes to create intricate patterns. With this spontaneous unplanned expression, Sharis reaches another level of consciousness. Almost a form of intuitive meditation, her drawings have naturally demonstrated themselves on a multitude of surfaces, be it paper, canvas, silk or obsidian stone. Sharis’ work is in the collection of Yerevan Modern Art Museum and the National Gallery of Armenia. She has many private collectors around the world. Embroidered Dreams, by Savann Thav, encompasses intriguing abstract paintings. 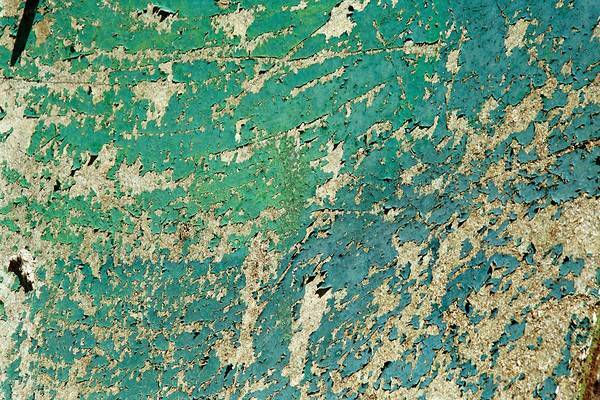 Many layers of paint give a remarkable texture to his artworks and evoke the complexity of life. 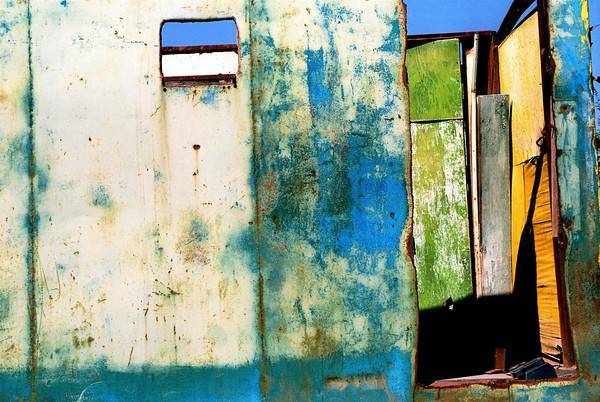 Although abstract, Savann’s paintings include a narrative. They talk about various stages of his life: his childhood in Cambodia, his escape as a refugee, his present life in Paris. They reflect his feelings and emotions. They depict internal landscapes and dreams. 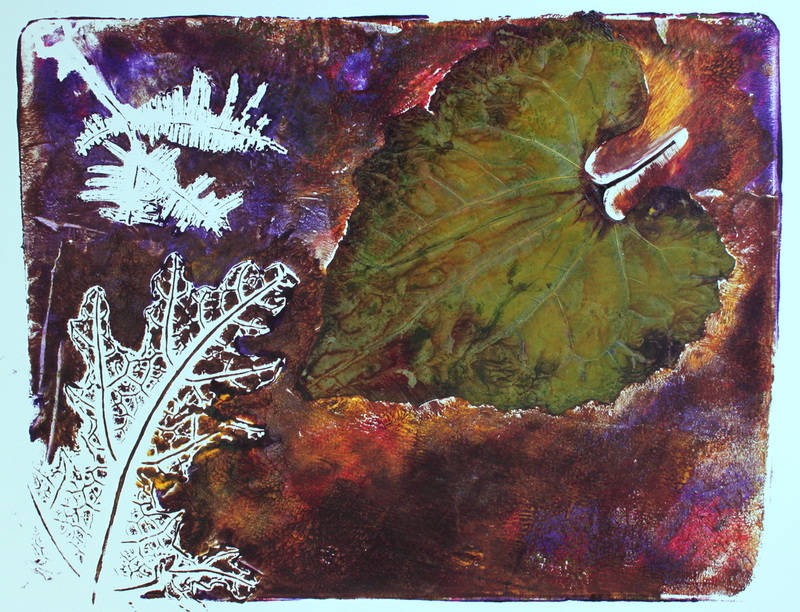 Organic shapes spring on the canvas suggesting the struggle for surviving and the healing of the artist. 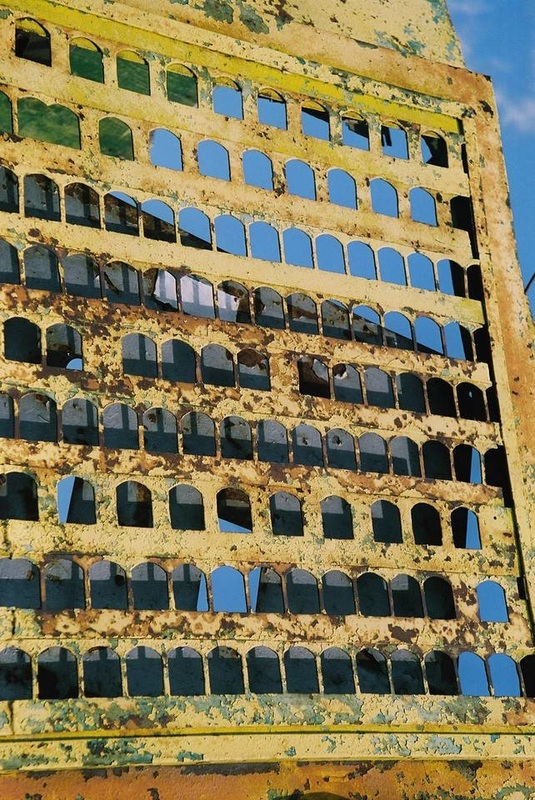 Savann chooses abstraction for the freedom of expression it gives. Inspired by embroidery, Savann uses cross stich motives and delicate forms to reconnect with his childhood spent in a country were the nature is bountiful. 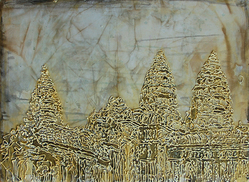 Born in Cambodia, Savann lives and works in France since 1980. His work cunningly reflects his personal experience and a universal vision of humanity. In tropical Southeast Asia, the streets are open theatres where young and elderly, rich and poor, powerful and humble people play all the acts of their life story. Colourful flower markets, fragrant food markets and food stalls occupy the public space where the kids have their playground. Street Stories encompasses paintings by two Burmese artists, Soe Soe and Khin Zaw Latt, who encapsulate in their paintings the simple beauty of Yangon cityscapes and the joyfulness of streets kids. While, Khin Zaw Latt’s talent consists of skillfully depicting the simple pleasures of childhood, Soe Soe’s uses the heavy monsoon rain as a lens to embellish his vision of the city. With the upcoming third anniversary of Intersections, we invite you to discover a selection of small sized and softly priced artworks by our roster of artists. Hailing from Singapore, Myanmar, Armenia, UK and France, each of these artists have a practice deeply rooted in their identity yet reveal interesting cultural intersections. The exhibition will encompass, drawings, ink and acrylic paintings, photos, photograms, textiles, jewellery, handbags, books and sculptures. 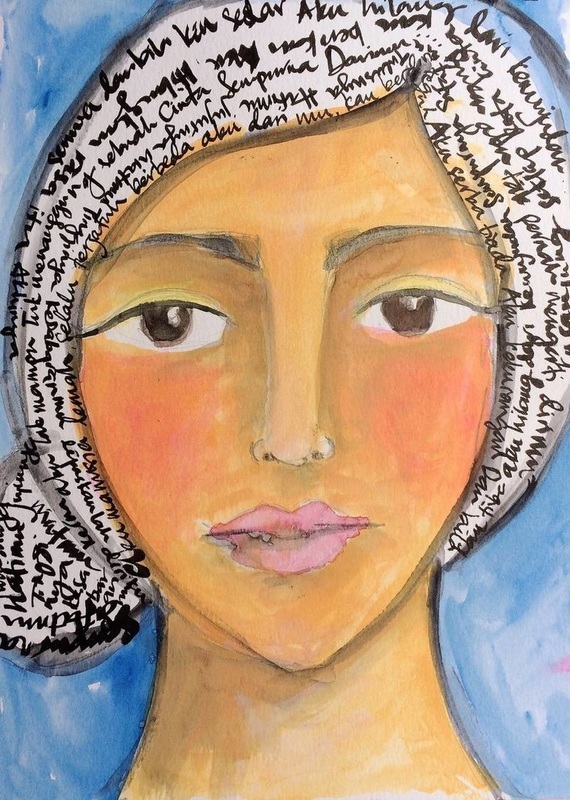 We are also excited to celebrate Intersections’ new gallery location in front of the Malay Heritage Centre, by inviting you to discover Julayla Jalil, a young and talented artist who praises the beauty of Malay Muslim women and their role in society. A group show to celebrate Intersections’ third anniversary and the world diversities! Beyond the academic endeavour of representing the human body in its ideal state, Helene le Chatelier is interested in portraying the transformation of the body and the elusive nature of our lives. She imagines cartography of remembrance, crystallised in nudes whose contours, like our memories, are sometimes accurate, sometimes hazy. 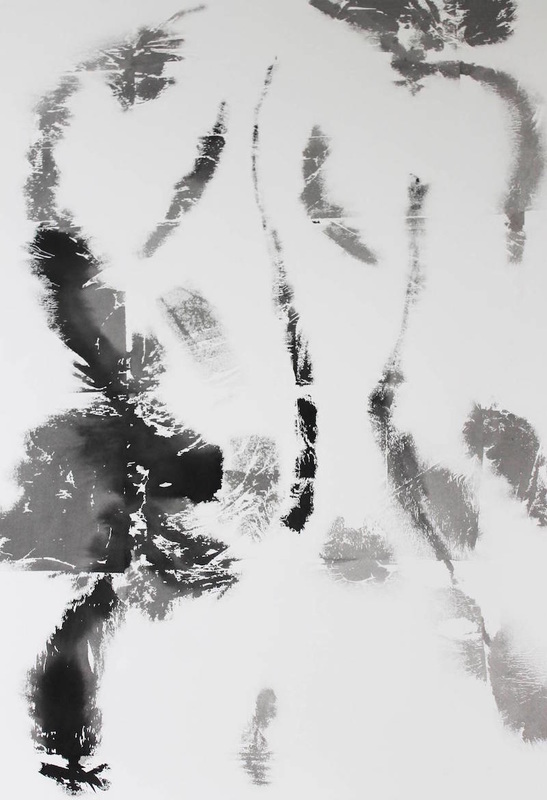 The ink on paper technique allows her to transcend the antagonism between traditional Chinese painting and European painting. Much like in traditional Chinese painting, the brush leaves a void that expresses the quest for reconciliation between the infinite nature of sentiments and the physical limits of the body. Each silhouette captures a unique story and reflects the pursuit for harmony. Each of these three artists has developed a unique style, which reinterprets traditional imagery and technique and appropriates modern and contemporary Western features. 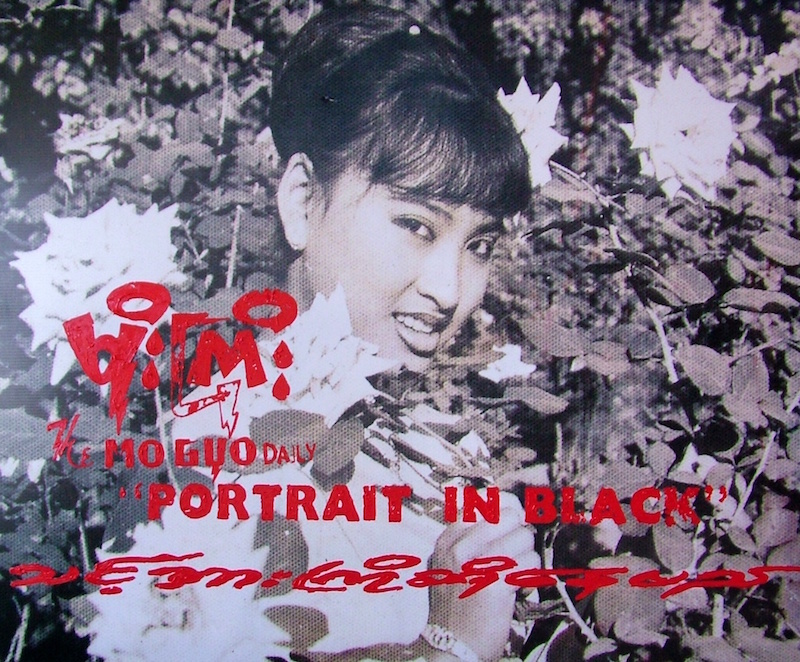 Never directly mentioned, Aung San Suu Kyi, is obliquely present in most of their works, through symbolic representations such as the peacock, the emblem of her political party, and beautiful ladies. While ink painting epitomizes the spirit and identity of Chinese art, modern and contemporary movements have transcended time and nationality. 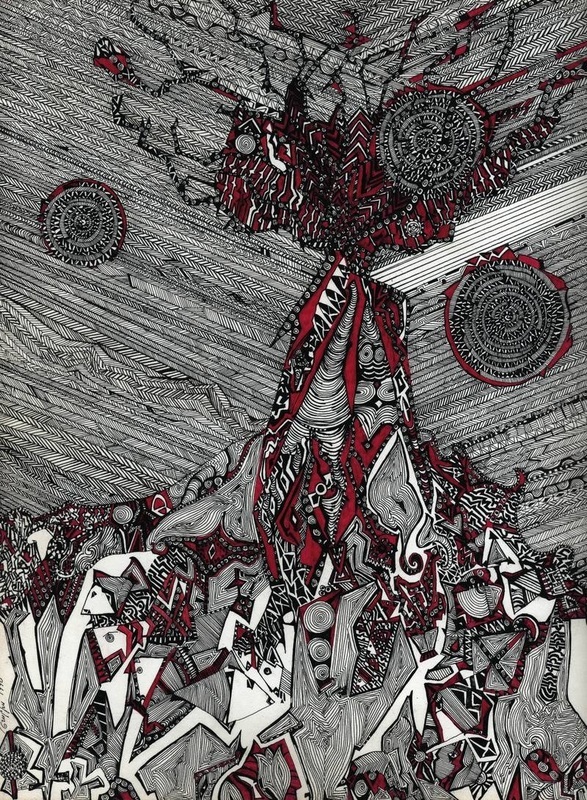 Contemporary artists have transformed the medium of ink art to more than mere ink and paper, integrating new techniques and artistic forms. 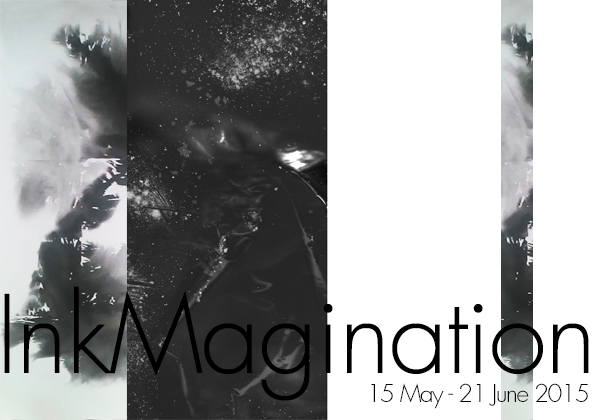 InkMagination explores the fusion of Oriental and Western elements in the work of a young Singaporean artist, June Lee Yu Juan and in the practice of a French artist, Hélène Le Chatelier. Syv Bruzeau will take you on a journey of shadows and lights, memories, space, silence, senses and the unknown. Using Butoh’s sensibility and poetry, Syv will guide you into the paintings, perceived as a reflection of the soul. She will create an ephemeral installation, echoing the artworks by connecting black strings as a metaphor for the stroke of the brush and the threads of our memories. RED Spirits, by Nyein Chan Su (NCS), is a collection of mixed media artworks extracted from four series created between 2006 and 2014. “Living in the Red Eras”, “Memories for the Future”, “People” and “Nat” series are connected by the artist’s memories about the social and political situation in his country. In the four series, the artist uses red colour to express a rebellious spirit and to celebrate the new freedom of expression. 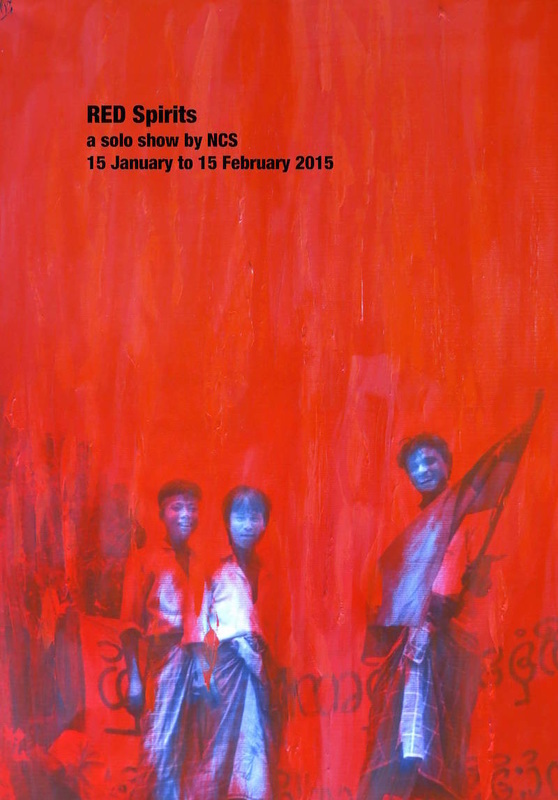 NCS subtly plays with aestheticism and even with humour to address the darkest issues of contemporary Burmese History. 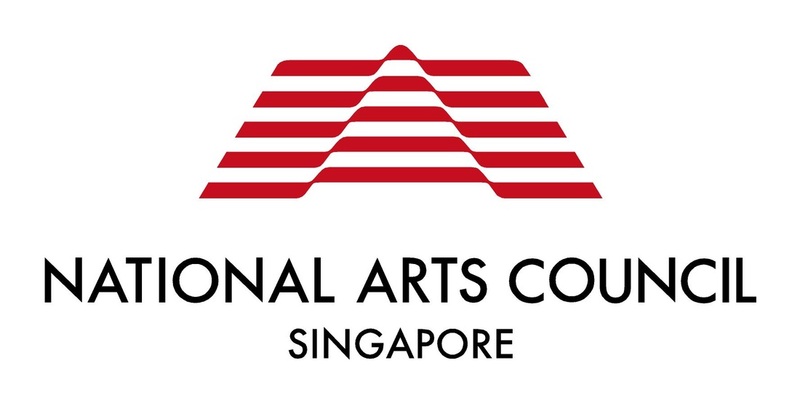 Born in 1973, NCS graduated in 1994 from Yangon State University of Fine Arts. Although traditionally trained, NCS was quick to adapt his artistic practice to the most cutting edge artistic language. His artworks are in the collections of the Fukuoka Art Museum and of the Singapore Art Museum. Through Women’s Eyes… addresses the concerns of a group of Burmese women artists triggered by the present time of transition in their country. Between hopes and concerns, the artworks presented reflect the uncertainties of the artists about the path that the country will follow in a new context of openness and political and economic changes. Through these women’s eyes, we catch a glimpse of a better world in which the future would be built without erasing the past, and where tradition and modernity would be reconciled. RFI review by Carrie Nooten (in French), "Vous m'en direz des nouvelles"
Beyond the academic endeavour of representing the human body in its ideal state, Hélène Le Chatelier is interested in portraying the transformation of the body and the elusive nature of our lives. She imagines a cartography of remembrance, crystallised in nudes whose contours, like our memories, are sometimes accurate, sometimes hazy. 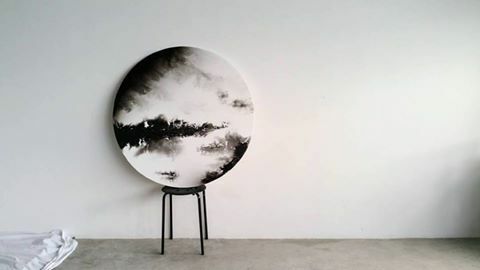 The ink on paper technique allows her to transcend the antagonism between traditional Chinese painting and European painting. Much like in in traditional Chinese painting, the brush leaves a void that expresses a quest for reconciliation between the infinite nature of sentiments and the physical limits of the body. Each silhouette captures a unique story and reflects the pursuit of harmony. The exhibition brings together the stunning work of a young Singaporean artist and an established French artist both seeking a universal language through their art. Read the exhibition's eBooklet by clicking here. A Butoh dance "Fissure" by Syv Bruzeau will be performed at 4pm on Saturday, 19 October. Abandoned Landscape consists of photographs taken in Armenia by Sharis Garabedian, a woman artist born to an Armenian family. Considering her photographs “paintings of reality”, Sharis refuses both the subterfuge of Photoshop and staged situations. Her work is an invitation to discover beauty beyond our preconceived notions and expectations. Learn more about Sharis Garabedian or read the e-Booklet.